Many tourists come to Aceh Province Indonesia to visit some historical places and learn a bit history of those sites. In this case, Pinto Khop should be on their list. Such historical structure is the reminiscence of an ancient culture, which was built during the reign of King Iskandar Muda 16th. The location is behind Governor’s Pendopo, which is in Sukaramai Village. In terms of region, it belongs to Baiturrahman Sub-District, Banda Aceh City. The structure connects Pitroe Phang Garden and the palace, actually. Not to mention it resides near to Gunongan. Today, Pinto Khop is popular among tourists as it becomes a perfect object of photography and gives them an opportunity to learn local history. Once tourists arrive at the site, they might see a small structure having white color and a unique shape. In features a small tunnel and some majestic engagements on both the walls and roof. Next, it is surrounded by fences and trees, protecting it from illegal visitors. No wonder, it is because the government considers it a valuable and historical site. 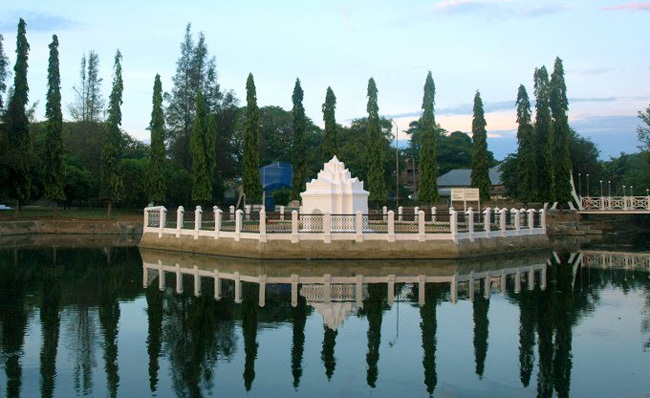 The structure was built by King Iskandar Muda as a gift to her daughter named Pang. It is also said that he built Pinto Khop for the Empress. The most common thing to do when exploring Pinto Khop is sightseeing. That means tourists would witness the details of the structure passionately. In terms of shape, it is similar to a dome. The locals say it was used by Princess Pang for resting after spending some time swimming in the nearby pool. It is also said some ladies visit the site and performed hair treatments to the princess. For further information regarding the function of the structure, tourists can take advantage of . In the same area, tourists can find a small library where the king and empress spent a family time reading books after swimming. Tourists are allowed to enter the site and explore it thoroughly, in fact. However, everyone should never cause havoc when exploring the location. Not to mention littering is definitely prohibited. Thus, make sure to take care of the trash if you come to the site carrying snacks or bottled drinks. Another thing to do in Pinto Khop is indeed photography! It is recommended to carry a camera and take some pictures of the structure and its surroundings. The other objects like the pool and lush trees are worth to capture, as well. Have no worries. Visitors do not need to pay the fee to explore the site and take pictures there. That doesn’t mean they are allowed to spoil the environment during the activity!